A smaller size with all the same precision, this Givenchy Antigona satchel features the signature envelope fold logo and structured shape. 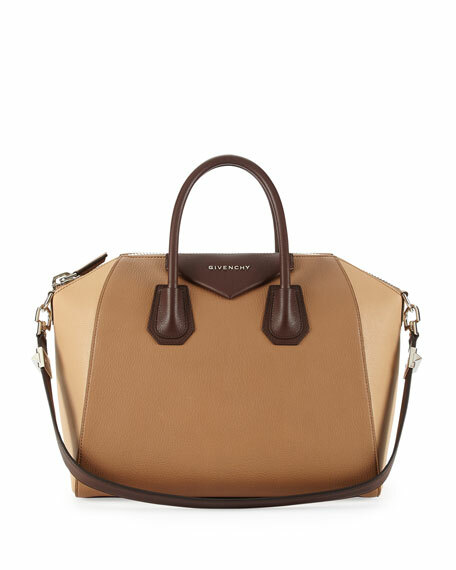 Givenchy tricolor "Sugar" goatskin leather satchel. Rolled tote handles with flat shoulder strap. 11"H x 12 1/2"W x 7 1/2"D.
Cotton lining; inside, one zip pocket and two open pockets.